As a native of Arizona, I spent most of my childhood drinking sun tea. It was always an interesting sight to watch the tea bags infuse the water in the glass jar using just the rays and heat from the sun. At the height of summer, it usually took no longer than a few hours for it reach the color my mother wanted. 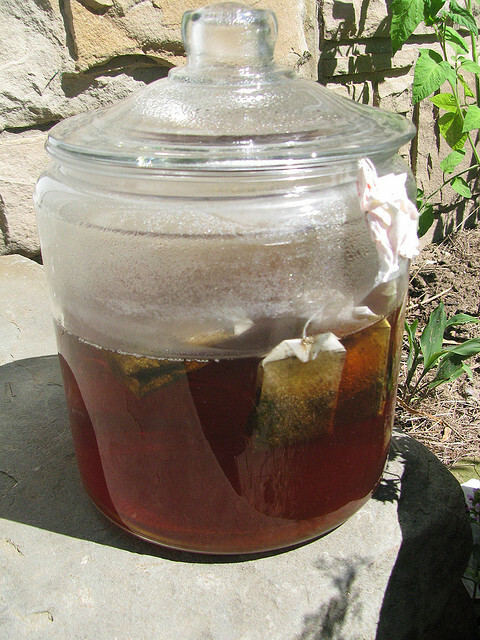 When we moved to Florida, it was disappointing to learn that sun tea didn’t quite work there. So in came the countertop ice tea maker. This remained my go-to method of getting quick black iced tea for many years. Then I learned of cold brewing tea and quickly found this easy method opened up a whole new world of drinking some of my favorite hot teas cold. Anyone with an iced tea maker will tell you it is impossible to get green iced tea out of it that is not horribly bitter. As someone who steadfastly refuses to add anything to my tea, this was very disappointing. The water is just too hot and the steeping time too long for the tea. Even some of the best flavored teas lose their flavor in the ice tea maker; Jasmine tea being one. Cold brewing these teas leaves their flavors intact. It is super easy to cold brew tea. You just need a pitcher and water. The ratio is roughly 7 teaspoons of loose tea to 750 mL of water. Put the loose tea and water into the pitcher and put it in the refrigerator for about 6-8 hours and see what happens. The trick behind cold brewed iced tea is getting the liquid out at the end of brewing without the tea leaves. That’s a piece of cake if you find one of the pitchers with mesh infusers at your local big box store. Or if you happen to have 2 pitchers and a fine mesh strainer, you can strain the contents of your brewing pitcher through the strainer into the other pitcher and then discard your teas leaves, hopefully as compost for one of your favorite plants. Play with the amount of tea versus water and your steeping time until you find the combination that works for you. 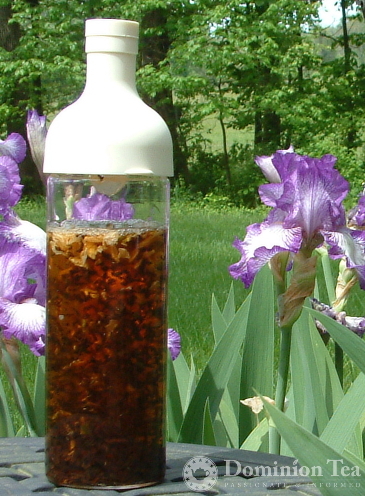 This cold brew method has been used in Japan for many years. Not a surprise when you think about all the green tea Japan drinks. So feel free to try this with your favorite green tea and see what you get. This method also allows oolong to become a fabulous iced tea. Those complex oolong flavors remain after brewing cold. My favorite so far is cold brewed sencha iced tea. It is really refreshing after a workout. Have you tried cold brewing your favorite tea? What do you think? As we head into warmer weather we’ve highlighted the teas that we think will cold brew well for you on the Dominion Tea specials page. This entry was posted in Cooking with Tea, Types of Tea and tagged cold brewed tea, iced tea, sun tea, Tea. Bookmark the permalink.